Dal Makhani is always made from whole urad lentils, kidney beans (rajma). It is always a rich dish with the addition of copious amounts of butter, cream and sometimes yogurt too to enhance the creaminess of the slow cooked urad dal.Urad lentils are mostly used in North Indian dishes, and it takes very well to long and slow cooking.I thought of trying to cook it in my open pan and try to achieve restaurant style dal makhani and I am pretty pleased with the version I am sharing with you all.I have realized that without adding cream you can still achieve the creaminess and thickness of traditional dal makhani by just slow cooking it. Of course, adding cream and butter takes it another level of scrumptious goodness. Although the dal takes a long time to cook, it is mostly inactive time and it’s one of the easiest things one can make, since seriously it’s all about throwing everything in the open kadai and letting it do its magic. Creamy and hearty because of the slow cooking of the urad, it can be made even richer with the addition of cream or yoghurt and butter, although that is not traditional.These lentils have different taste, different properties, are best for different dishes.Urad dal is quite special indeed. I love it a lot. Mostly North Indian in style, it takes too long and slow cooking very well. Find more interesting Side dish recipes for parathas here. 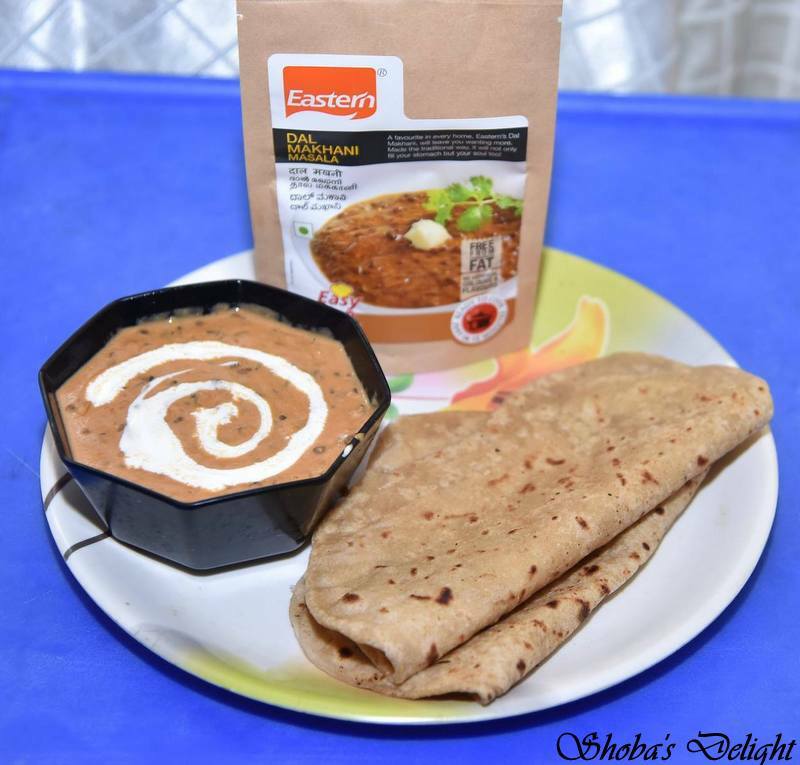 Kasturi methi (Dried fenugreek leaves) -2 tbsp. Instead of all these spice powders we can use Eastern Dal Makhani Masala mix with a tsp of red chilli powder for extra spice level. 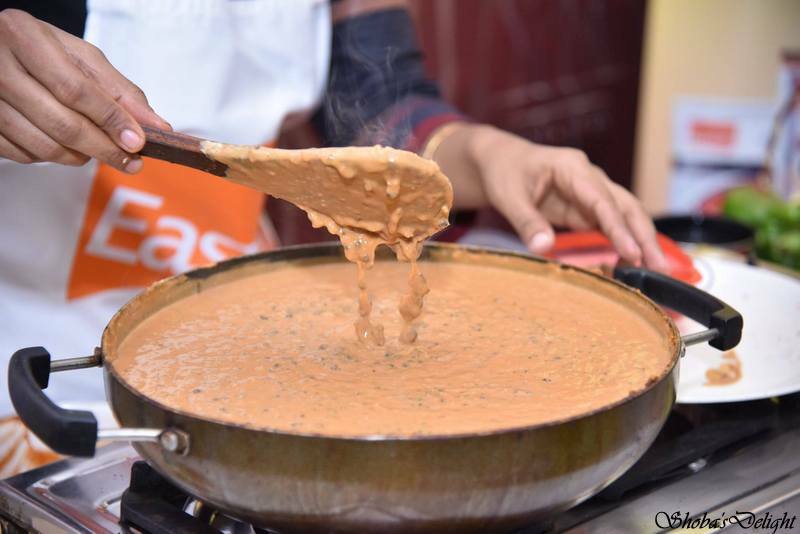 Mix ½ cup of milk with the Eastern Dal Makhani masala packet and add to the gravy. 1. Soak the lentils and beans overnight. 2. Pressure cook black gram and Kidney beans with 4 cups of water, salt for 3-4 whistles (25 minutes at high pressure once pressure has reached). 3. Heat unsalted butter and sauté the onion,garlic ginger paste until the onion is just browning. 4. 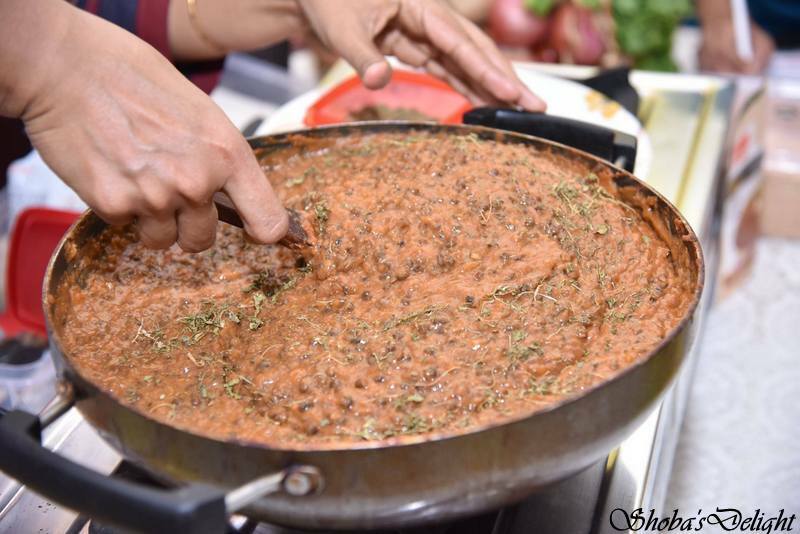 Puree the tomatoes in the food processor and add to the slow cooker with the chilli powder, cumin, coriander powder, salt, turmeric, and water. 5. Add the cooked black gram, kidney beans and the water they were cooked in. 6. Mash some of the lentils with the spatulaso that all the dals are well bend with teh gravy and form a mushy texture. 7. Add garam masala, kasturi methi and Mix, taste and adjust salt. 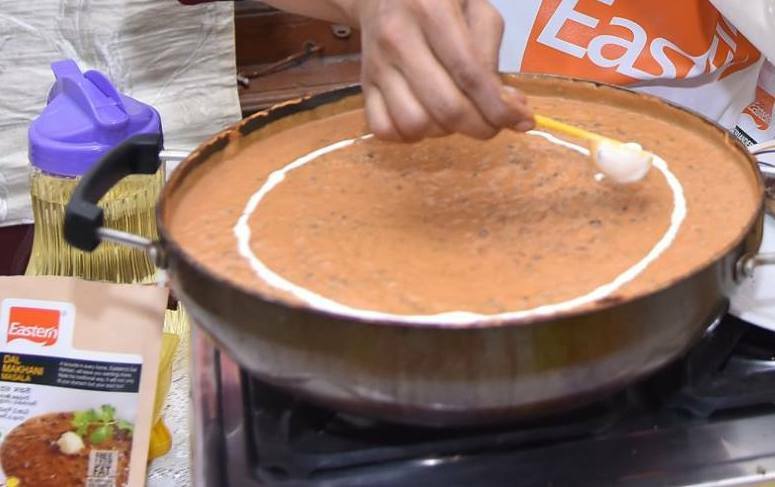 Add more water if the mixture is too thick. 8. Simmer on low heat till the dals/beans are totally soft. 9. 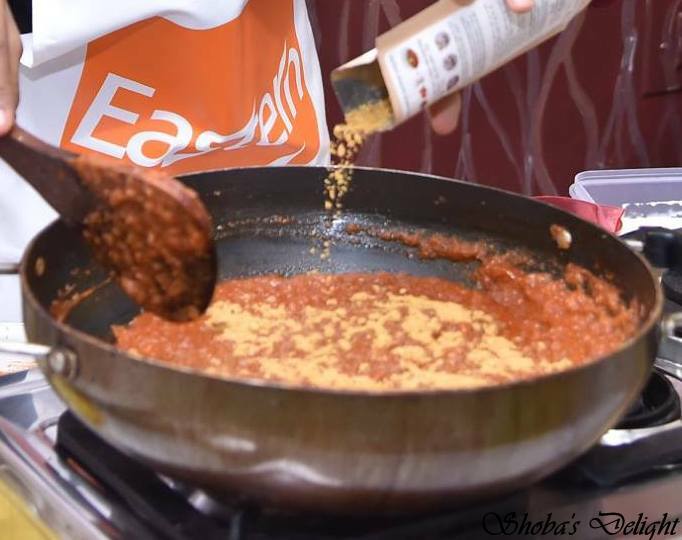 Now add Eastern Dal Makhani Masala Mix to the gravy and finally add fresh cream for richer taste. 10. Stir for few minutes and Keep warm until you are ready to serve. 11. Mix in the remaining green coriander and the cream if using. 1. 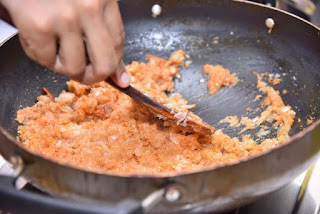 If you are pressure cooking them, then it is advisable to soak them in the water overnight but since these cook the whole night. 2. 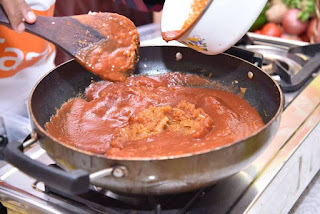 If you have no tomato puree you can blanch the tomatoes, skin them and use pureed. But I have realized using canned tomato puree gives it the restaurant style color and taste. 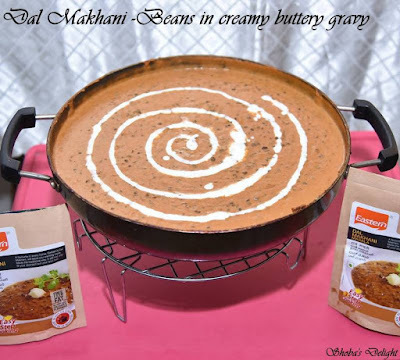 Technorati Tags: Dal Makhani recipes,North Indian recipes.,Black urad dal recipes,Rajma recipes,Indian food recipes,Dal recipes,Eastern product Dal makhani Masala Recipes.